AUDIO: Top $ Raz feat. 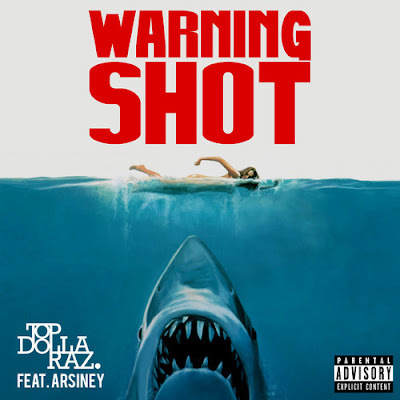 Arsiney - "Warning Shot"
Defining his style as Ready to Die-meets-Midnight Marauders, this Far Rockaway Queens emcee evidently has the hunger and knack for detail as the beloved Biggie Smalls did, tied in with the elegance, finesse, and melody of A Tribe Called Quest. Top $ Raz has never held back in attempting to be amongst the best of the best, and he certainly raps about what is real and sincere to him; absolutely no gimmicks. Top $ Raz (real name Rasheem Johnson) has been interested in hip hop since grade 2, and has been rapping publicly since he was 16, even putting out his first mixtape out at that young age. Prior to his interest in being an emcee, Raz has always been interested in street stories and uses the microphone as a vehicle to tell others, quite vividly, how he sees the game of life.